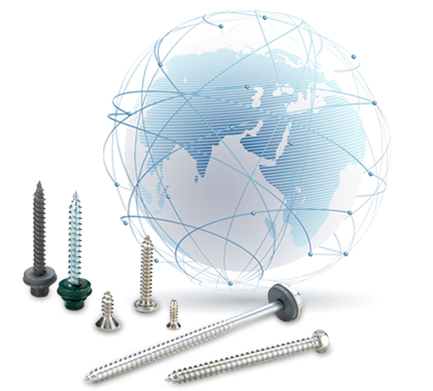 A specialist in manufacturing screws, was established by president Lucky Tu in 1973. Over the past three decades, Sheh Fung has spared no efforts in promoting innovation through R&D and the accumulated experiences and expertise of its employees. Every step in the manufacturing process, beginning from the input of line material to packaging is under strict supervision by QC personnel. Each step must pass a QC test before entering the next step. Moreover, Sheh Fung has equipped itself with advanced techniques in design and manufacturing to assist clients that ask for customized products. In 1989, Sheh Fung was ranked as one of Taiwan's top 1,000 enterprises-the first time for the company. Moreover, to increase the quality of its products and service, the company improved its processes in order to earn an ISO 9001:2000 certification in July 1993. The company has been consistent in pursuing excellence, quality, and the most state-of-the-art technologies. Sheh Fung's quality process has earned the certifications from ISO9001: 2015. Sheh Fung has invested much of its efforts into research and developing the most advanced testing facilities and technologies. In addition to business activities, Sheh Fung is also active in philanthropies. It has created the Sheh Fung Good Deed and Wisdom Foundation. Sheh Fung uses “four hearts” to create its business culture and value.